That’s not surprising. 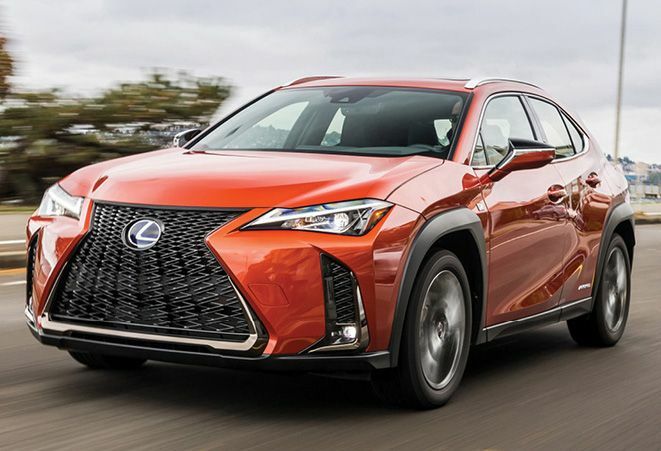 Under its Lexus skin, “the UX is essentially a Toyota,” riding on a platform shared by the C-HR and delivering, in this case, “a satisfying sense of quiet refinement.” The UX’s entry-level 169-hp engine is merely adequate, though, and even the quieter 175-hp drivetrain in the hybrid “doesn’t feel as if it belongs in a luxury car.” More convincing—once you look past the frustrating infotainment system and limited cargo space—is the UX’s cabin. Up front, plush details include soft faux leather and a unique dash trim that evokes fine, hand-pressed Japanese paper.